There are several ways you can experience Africa's best wildlife and enjoying its breathtaking landscape. Here are some of the best methods. There is no better way to enjoy an African safari than taking a game walk. 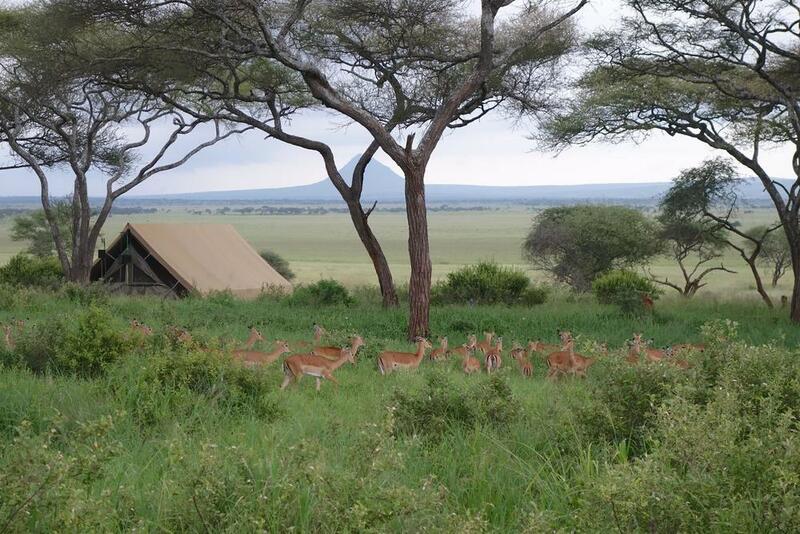 The freedom of being in the wild and in close proximity to the African wildlife is an unforgettable experience. During a game walk, one gets to see things like animal tracks, local herbs and hideouts that they would otherwise not see from a vehicle. The best time for a game walk is in the morning and late afternoon when it is not hot. You will be accompanied by local guides and armed rangers to ensure safety. Game walks usually take between 2- 3 hours and only allowed in wildlife sanctuaries and conservancies. Game drives are traditionally associated with African safaris. It entails driving at a slow pace through a park or game reserve observing animals. During a game drive, you will occasionally stop the vehicle for sometime to observe animals, take photos and enjoy the landscape. The best time for taking a game drive in Africa in mostly during sunrise or late afternoon. Sometimes there are night game drives. The common vehicles for game drives is a 4WD land rover/ land cruiser or a 9 seater minivan with a roof hatch. For those who want to have an experience of a lifetime, they should try out a balloon safari. Here you will fly over the park or reserve in a balloon giving you a bird’s eye view of the wildlife while getting to see the incredible African landscape. Balloon safaris gives you the opportunity to cover a wide area within a shorter time. During a Kenya safari, they are spectacular. The best time for balloon safaris is usually early morning. This is a new way to view wildlife as you enjoy a boat ride on some of Africa’s famous rivers. Some of the common animals you are likely to view in a boat safari include elephants, hippos, crocodiles and animals feeding by the river banks. A boat safari is an incredible experience as you may camp on the banks of the river. Boat safaris are quite common in southern African countries of Zambia, Zimbabwe and Botswana. To spice your African safari, you can combine the different ways to view wildlife. You will never go wrong with this. Namibia is a little-known country in the southern part of Africa. It is a fascinating country, and definitely qualifies as one of the countries you should visit at least once in your lifetime. Here are 10 interesting facts about the country, which might just encourage you to go on a Namibia safari. According to scientists, Namib Desert is over 55 million years old! The desert is also quite large, stretching for 2000 km along the Atlantic coasts of Namibia, South Africa and Angola. The highest dune in the area rises to 383 metres. Climbing dunes to watch the sunrise is actually a popular tourist activity in the country. The Gibeon meteorite shower occurred in prehistoric times in the central part of Namibia. It covered an elliptical area of 275 by 100 km. Remains from this meteorite shower are exhibited at Windhoek, Namibia's capital city. The San have resided in the country for more than 6,000 years, and there is more than enough rock art to confirm this. At the Cheetah Conservation in Namibia, you can run across one of the 3,000 or so free roaming cheetahs in the country. The Fish River Canyon, located close to the border with South Africa, is also the oldest in the world. Researchers have determined that the canyon was formed at least 500 million years ago through water and wind erosion, coupled with the collapse of the valley floor. The Himba tribe in the Kunene region of the country have strongly clung to their traditional ways and beliefs. They wear traditional clothes, eat traditional foods and even practice traditional religions. The women wear skirts and leave their upper body bare. Basically, they have been unaffected by modernism in any way. A large number of sailors have died at this coast, given the dense fog and the violent storms in the area. In the 1940’s, a slate was discovered along with human skeletons. The slate was written by a survivor, and directed anyone who found it north. Unfortunately, the wreck had happened close to a century earlier. Under South African rule, the country used the rand to transact, and only started using the Namibian dollar after independence. Currently, both currencies are acceptable in the country. If you're planning a Botswana Okavango Delta safari adventure, The Moremi Game Reserve boasts spectacular game viewing and bird watching, in fact, it's estimated to be home to close to 400 species of birds, many migratory and some endangered. Here are 10 reasons why you should visit the Moremi Game Reserve. Photo by @argonautphoto (Aaron Huey). A female #Leopard in the #MoremiGameReserve, #Botswana. I could watch these animals everyday for weeks on end! I only had a few days with them but I'm hooked! Shot on assignment in the #OkavangaDelta for an upcoming feature. Follow @argonautphoto to see more images of these big cats! We had a breeding herd of 200 buffalo on Nyoga Island yesterday. Along with 300 elephant! The game is superb at the moment. My Sunday good morning to you all comes through this sunset photo. Haha after having all set for a camping night at Moremi Game Reserve, we headed to a pond with a few hippos to appreciate the sunset. It was amazing to be standing there, watching nature's spectacle, while the hippos watched us back. If you're looking to experience an authentic African safari, then a trip to Botswana's Chobe National Park should be at the top of your travel bucket list. Spanning for just under 12,000 square kilometres, Chobe is Botswana's most visited national park - and with good reason - it's a wildlife-rich destination that provides safari-goers with unforgettable experiences that very few places in Africa can match. Chobe National Park boasts the largest density of African elephant on the African continent, however, safari-goers also have the chance to see lion, leopard, Cape buffalo, over 460 different bird species and so much more. If you're planning a Botswana safari, here are 10 reasons why the Chobe National Park should be on your travel itinerary. Although a photo can tell a thousand words there is a lot a photo can't capture. The hustle and bustle of Marrakech with it's colourful souks, energetic performers, bohemian culture and symphony of mosques is something you need to experience first hand. Unwind. Detox. Reconnect. Yoga. Health. Mindfulness. Wellness in the wild. I'm so looking forward to getting back in the bush and surrounded by all the spectacular animals we share this planet with. I'll be releasing some new dates shortly for my upcoming yoga trips. Watch this space...or just contact me if you're interested! The swamp in front of Osunyai Lamarkau has been consistently full of our large, grey, big eared friends. From the dining tent in camp you can here deep belly rumbles, trumpeting and even flapping ears as the elephants carry on with life as usual. 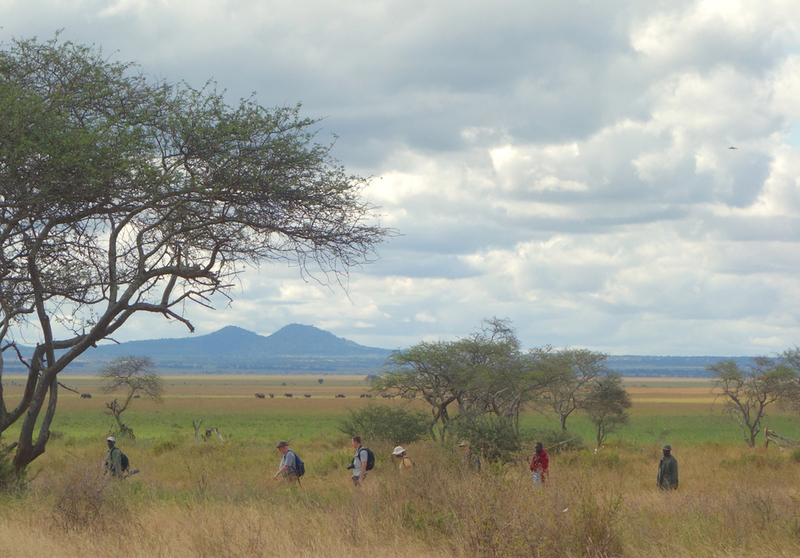 Taking time to walk from camp brings a completely new dimension to being in the bush. Far from the steady burr of the Landcruiser, you begin the notice the little details of life in the bush, the perfect balance that nature has created. June is always considered a bit of a gamble when it comes to safari in Northern Tanzania - and when I say a "gamble" it's not really. Tanzania is incredible for wildlife all year round but the changing of the seasons means that the game is a little spontaneous than usual. Anyway, June this year was just unbelievable with the Great Migration moving up into the Northern region of the Serengeti - right around our Akiba Kibwe Serengeti Camp. 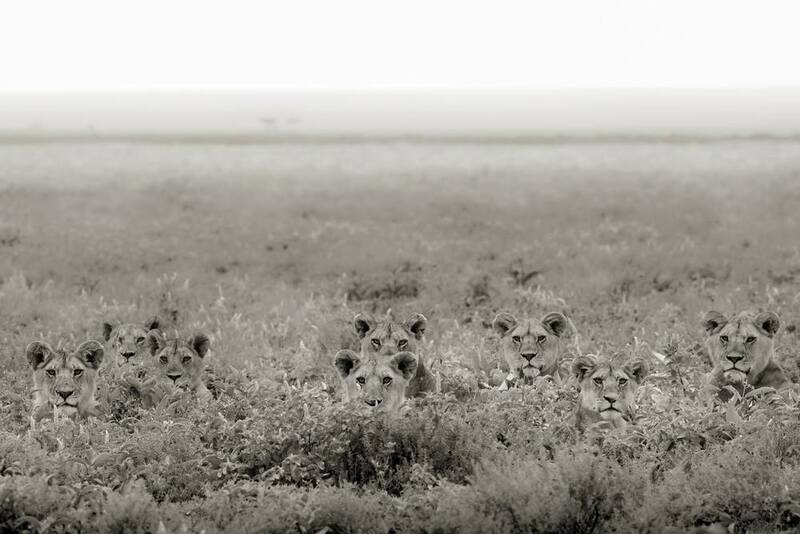 But most noteworthy was the number of lion spotted. The big cats seem to be in abundance in both Tarangire National Park and the Serengeti. It was great to see so many prides thriving. This beautiful leopard was just discovered right at the end of March, very close to our Osunyai Lamarkau Wilderness Camp in Tarangire National Park. He was on edge, and very alert which isn't surprising given his impressive eye wound. We are going to keep an eye on him (pun intended) and we shall keep you all updated. We hope this newsletter finds you all well and enjoying 2016 - I do apologise for our silence last month but it was a little busy to say the least. Dad has spent the majority of the year on safari, with a number of you, and has reported epic sightings in and around both Osunyai Lamarkau (Tarangire) and Dulana (Serengeti) Camps. Tanzania has been getting some great Equatorial showers - the grass is green and the game is thriving. I was away in Costa Rica where I completed my yoga teacher training before traveling the States to spread the Wildlife Explorer word. I'm sorry I didn't manage to visit all of you, thank you for the invitations - next time! We would like to take this Valentine's day opportunity to let you all know how much we appreciate the Earth, the natural world that we are privileged to spend so much of our time exploring. Wildlife Explorer offsets all vehicle emissions in collaboration with Carbon Tanzania. All of our camps are seasonal, meaning every few months we completely remove ourselves allowing the ecosystem to regenerate. All of the personal care products you find in your tents are by Africology - 100% natural and eco-friendly, fragranced only with pure essential oils. We heat your shower water with a fancy new closed heating system (designed in Sweden) using the old oil from the vehicles. Our eco-toilets use eco-friendly, biodegradable chemicals and minimal water (another Swedish design!). If you would like to get involved with conservation in Tanzania there are a number of fantastic organisations who could always use the support. PAMS Foundation Tanzania - who's vision is for Tanzania to be a country where the value of it's natural resources and it's benefits are understood and upheld by all. WildAid Tanzania - who, just last year, launched a brand new public awareness campaign to inform the general public about severe poaching crisis we are facing in East Africa. As always, thank you all for your continued support. We couldn't do it without you. WildAid has launched a campaigned entitled The Year of the Elephant - When you ‪#‎JoinTheHerd‬, you help to make this the first-ever “Year of the Elephant.” The year we stop the ivory trade. And the year when more elephants are born than killed by poachers. Let’s make this vision a reality. We need to stand together to put an end to the illegal wildlife trade - it's a huge, dangerous, blood-filled industry and the only way to stop it is to make noise. By spreading awareness we can curb and diminish demand. We can. But we have to do it now. There is still a lot left to fight for but we must act fast. Join us. Before we go any further let me just say - I love the Great Wildebeest Migration, obviously. Who doesn't!? But for once, let's talk about these other journeys. Migration is one of the greatest mysteries of the animal kingdom - although scientists have observed it in all major animal groups there is relatively very little known about the specifics. 1. The winner of the most epic of insect migrations - Dragonflies. It was recently discovered that dragonflies are capable of migrating 14,000-18,000km. The route spans India, the Maldives, the Seychelles, Mozambique, Uganda and back again as millions of dragonflies follow the rains! In a relay race type scenario, it takes four generations of dragonflies to complete the migration. 2. The largest mammal migration is the straw coloured fruit bat migration which takes place in Zambia. 8 MILLION (or more) bats in the Congo Basin take to the skies and head for Zambia's Kasanka National Park - they come in search of the waterberries, mango, wild loquat and red milkwood berries that appear in abundance at this time of year. Bats are extremely important for Africa's habitats as they are responsible for at least 60% of the seed dispersal of the continent's rainforests. 3. The Great White. Wow. What an impact this fish has. Great whites, such as the famous Nicole, have been recorded migrating from South Africa to Western Australia (a 20,000km round trip) in one year. Nicole's journey was impressive not just in the sheer distance travelled - she maintained a minimum speed of 5km/hr! But why do they leave their food source in SA? Why do only some leave and others not? Where do they go? The mystery surrounding migration is fascinating. To witness so many animals moving together with such purpose may take your breath away as you are reminded how incredible this Earth is. 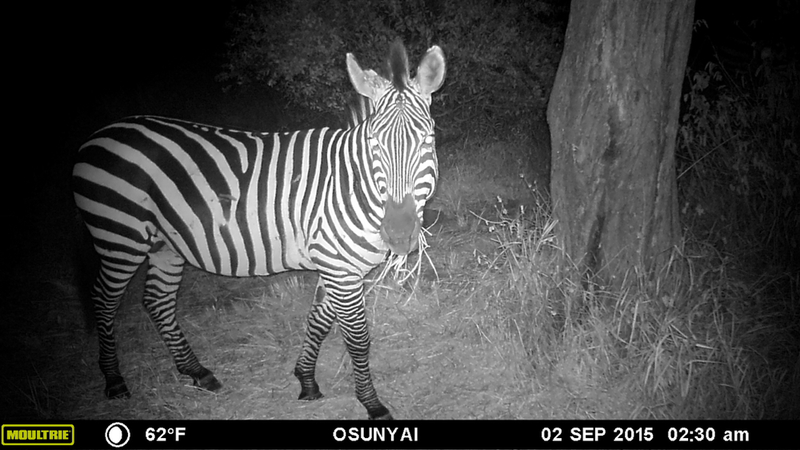 It's always fun checking the motion cam in the morning - catching a glimpse of some of the creatures that were making noise throughout the night. Zebra, hyena, and jackals are our most common visitors but I was especially excited to catch a glimpse of the elusive honey badger! I wasn't sure what to expect of the weather arriving into Morocco at the beginning of November. However, for the next three days we had nothing but bright blue skies and beautiful sunshine. The temperature in the High Atlas was still chilling when stopped, or in the shade, and during the night. The local Berber guides are always so friendly and so knowledgeable about the area. The vegetation in the valleys have turned various shades of Autumn complimenting the white capped snow peaks of the highest mountains. Not as easy to access as Marrakech, Fez is a city full of hidden corners and plenty of history. Spend time walking around the Medina - the largest car-free, urban zone in the world to experience a step back in time.